Flip two coins. If one is heads and one is tails, then all the memes of the universe destroy the enemy’s Pokémon. 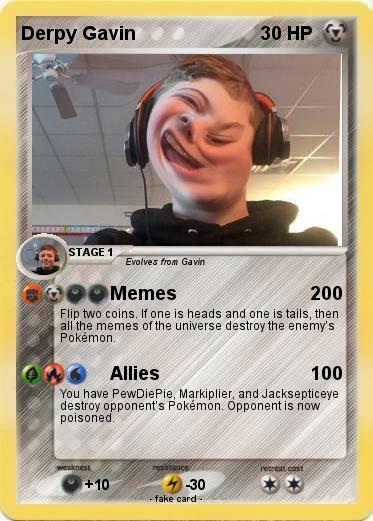 You have PewDiePie, Markiplier, and Jacksepticeye destroy opponent’s Pokémon. Opponent is now poisoned. Comments : Obviously not real. Shoutout to jse, markimoo and PewDiePie.